At Continuum Recovery of Colorado, we’ve been helping people battle substance addiction for decades with immense success. If you’re a victim of drug addiction, you need professional care, medication, and psychological healing. Self-detoxification is no more a solution than being passive about it is. Join our drug rehab in Denver and benefit from the latest findings in medicine, psychiatry, and holistic recovery! As experienced professionals in substance rehab, we advise you to avoid any type of self-treatments. Not only do they fail in most of the cases, but can sometimes aggravate the problems, instead of fixing them. Prolonged substance addiction is such a devastating disorder primarily because of its effects on the human mind. Drugs change how you think, how you behave, and how you interact with others around you. The purpose of the detoxification process is to reverse these problems and restore your mental stability. Our drug rehab in Denver offers more than you can get from a simple detoxification clinic. We want to make sure our patients recover from their addiction and improve their lives in all aspects. With the help of our clinicians and psychologists, you will be able to fix your family problems and come to better terms with your friends and those close to you. How to improve your lifestyle regarding nutrition, workout routine, hobbies, etc. Any effective rehab treatment should focus on preventing the relapse over the years. It’s not an easy task to accomplish on your own. Our professionals will help you fix that. At our center, you’ll get expert advice on how to remain sober for years to come. 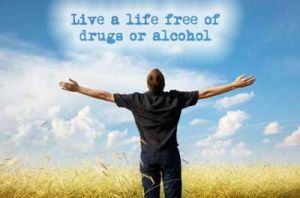 By joining our drug rehab in Denver, you take the first step towards a better life for you and your family. We know you’re desperate, hopeless, and suffering. At Continuum Recovery of Colorado, we offer you a solution to all of your problems. With our help, you can beat addiction for good.